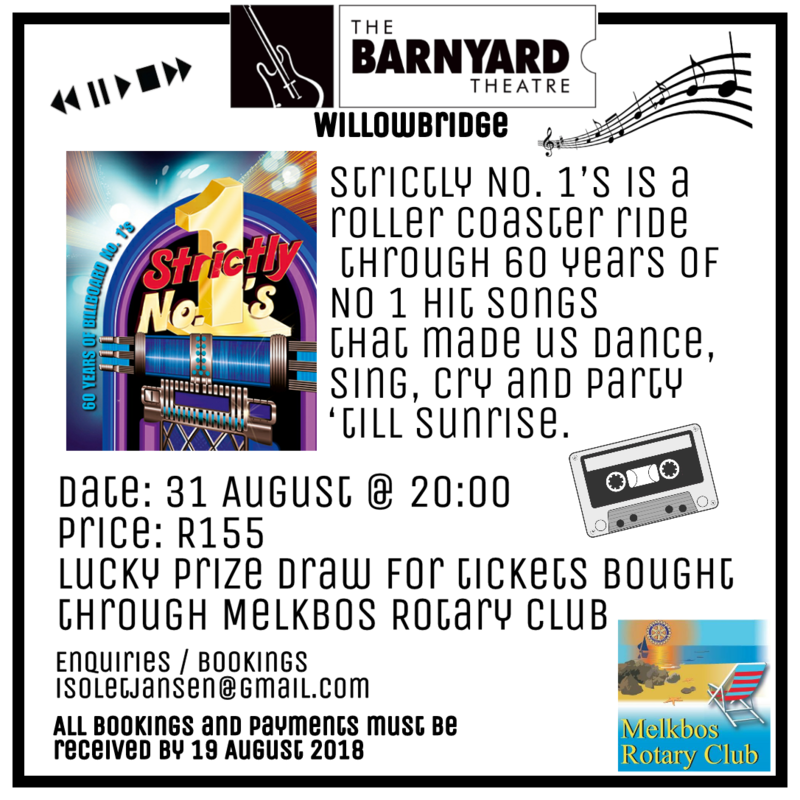 Melkbos Rotary invite you to The Barnyard Theatre to enjoy #1 Hits across the decades! Strictly No 1's is a rollercoaster ride through 60 years of No 1 hit songs that made us dance, sing, cry and party 'til sunrise. Lucky Draw for tickets bought through Melbos Rotary Club! All tickets must be paid for by 19 August 2018.